How did life arise on Earth? Rutgers researchers in New Jersey have found among the first and perhaps only hard evidence that simple protein catalysts - essential for cells, the building blocks of life, to function - may have existed when life began. Their study of a primordial peptide, or short protein, is published in the Journal of the American Chemical Society. The article is titled “Minimal Heterochiral de Novo Designed 4Fe–4S Binding Peptide Capable of Robust Electron Transfer.” In the late 1980s and early 1990s, the chemist Günter Wächtershäuser postulated that life began on iron- and sulfur-containing rocks in the ocean. Wächtershäuser and others predicted that short peptides would have bound metals and served as catalysts of life-producing chemistry, according to Rutgers study co-author Dr. Vikas Nanda, an Associate Professor at Rutgers' Robert Wood Johnson Medical School. Human DNA consists of genes that code for proteins that are a few hundred to a few thousand amino acids long. These complex proteins - needed to make all living things function properly - are the result of billions of years of evolution. When life began, proteins were likely much simpler, perhaps just 10 to 20 amino acids long. With computer modeling, Rutgers scientists have been exploring what early peptides may have looked like and their possible chemical functions, according to Dr. Nanda. The scientists used computers to model a short, 12-amino acid protein (ambidoxin) and tested it in the laboratory. This peptide has several impressive and important features. It contains only two types of amino acids (rather than the estimated 20 amino acids that synthesize millions of different proteins needed for specific body functions), it is very short, and it could have emerged spontaneously on the early Earth in the right conditions. 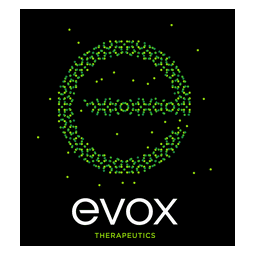 Evox Therapeutics Ltd, a leading exosome therapeutics company, announced, on September 3, 2018, that it has raised £35.5 million ($45.4 million) of new capital in a Series B financing round. Redmile Group led the financing with significant new investments from GV (formerly Google Ventures) and Cowen Healthcare Investments, alongside investments from Panacea Healthcare Venture, Borealis Ventures, and a small number of private investors. Existing investors, Oxford Sciences Innovation (OSI) and Oxford University, also participated in this financing round. Evox had previously secured £10 million ($12.9 million) as part of a Series A seed financing from OSI. Proceeds from this financing will support the advancement of Evox’s exosome-based therapeutics pipeline, including progression of several proprietary rare disease assets towards the clinic, and continued development of its world-leading exosome drug platform. Evox is engineering exosomes, the body’s natural vesicular delivery system, to enable a wide variety of drugs to reach previously inaccessible tissues and compartments, such as crossing the blood brain barrier to deliver drugs to the central nervous system, intracellular delivery of biologics, and extra-hepatic delivery of RNA therapeutics. Evox is developing its own proprietary pipeline of exosome-based therapeutics for the treatment of rare, life-threatening diseases with significant unmet need. Evox also continues to form partnerships with major pharmaceutical companies to fully exploit the use of exosome-based therapeutics for the treatment of a wide variety of other diseases. Dr.